Bucket Capacity = 11 cu ft Heaped (.4 cu yds). 15gal Fuel Tank. Width 60" Height 77" Length 128". Dump Height at Hinge Pin = 115in. Our 17' 2 Axle Trailer Weighs 2,600lbs & has 9,000lb Capacity. 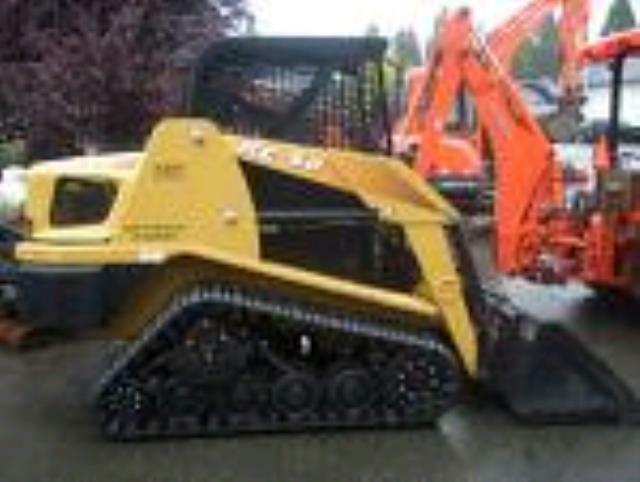 * Please call us for any questions on our rc60 track loader w/bucket rentals in Langley, also serving Clinton, Freeland, Greenbank, and Coupeville.